UNCOOL: Is Bruce Forsyth too scary to be knighted? | Everything is cool. UNCOOL: Is Bruce Forsyth too scary to be knighted? As we sauntered away from this despicable woman, I realised she wasn’t the first person to say the macho-camp show host gave them the heeby jeebies. The mere mention of him used to bring my pal Shona out in hives. So in tell-tale fashion I went on twitter to ask people what they thought of Bruce’s face. To my surprise, the tweets came flooding in. 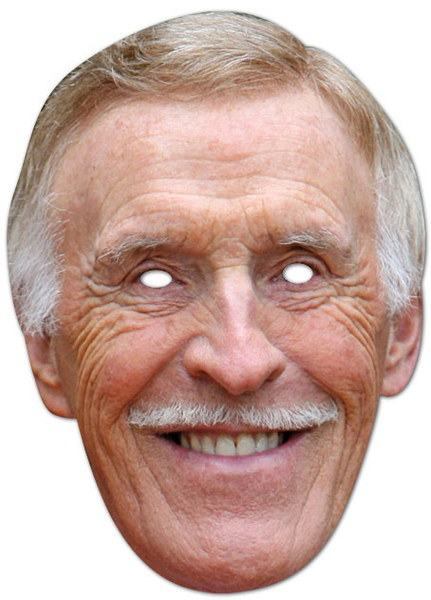 And it turns out, everyone is scared of Bruce Forsyth. Jules, 30, said: ‘you’d be blind not to see the that his silhouette looks exactly like Nosferatu’s’. For the love of game-shows, is there anyone that doesn’t fear this household treasure? Looks like it’s just me, the landlady, Jim and Lord Grade vying for Brucey’s knighthood. The former BBC and ITV Chairman spoke out yesterday saying it is ‘shocking’ the 83-year-old only has a CBE. C-B-Shmee. Everyone knows it doesn’t matter what’s AFTER your name in showbiz. It’s BEFORE that counts. BEFOOOOOOORE!!! Speaking of Brucie’s relationship with the word ‘before’, his name could be shortened to ‘B-For’ couldn’t it? Let’s hope you’re on the list this year B-For! I’ll SIR-tainly be keeping my fingers crossed. He ain’t scary, he’s like my grandpop. I am outraged he hasn’t been knighted – he is pure genius – and those who find him scary are weird. Did u know J.K bloody Rowling was knighted in France – whaat?! Come on queenie – sort it out! This is almost too much for a sane man to bear. Of cuorse, your answer would be that I’m not a sane man. However, I don’t want this to become a regular feature of this blog. It only looks a bit like Batman and nothing like Bruce Forsyth. you did,the internet will be much more useful than ever before.